There have been alot of video games based on Anime–not to be confused with Anime-ish video games like Tales of Symphonia and Persona 4–but until about15 years ago, they were rarely released outside Japan. 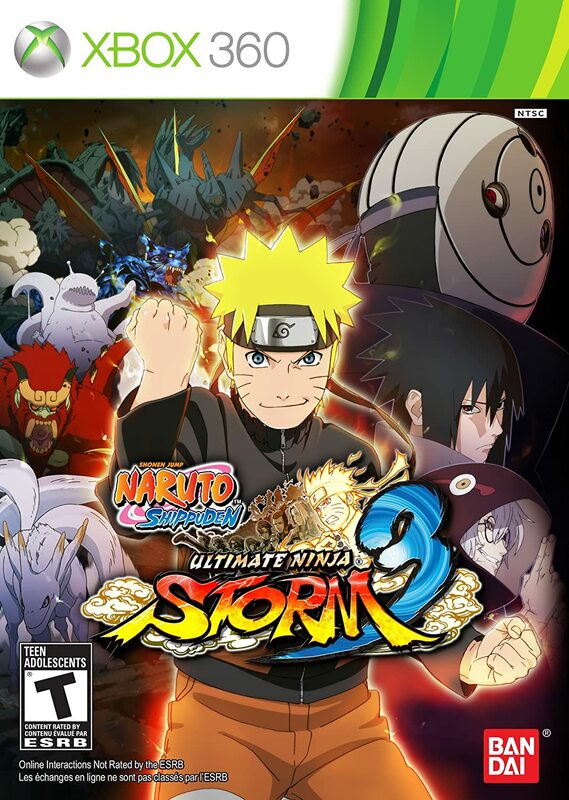 The last decade has seen a Naruto game released every few years in particular, many of which I’ve played. 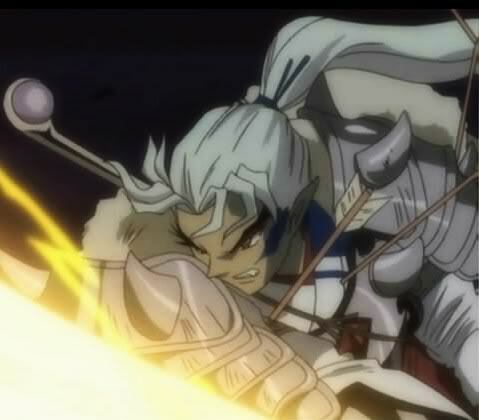 …One thing Bleach had a knack for was timing when it did filler arcs. Dark Souls is no different. The game’s story mode is set right after the end of the Soul Society Arc (when Ichigo first visits the Soul Society to rescue Rukia) and follows a non-canon storyline involving Mod Souls. The game is dual audio English and Japanese. Everyone has all of their moves from the anime including Gin and Tossen, who are unlockable characters along with Aizen–not the Aizen reintroduced much later, mind you–and yes, their Bankai if theirs was introduced before. I believe the only ones who don’t have their Bankai in Dark Souls are Aizen’s (which hadn’t been revealed at the time) and Rukia’s (same as Aizen though in addition, Rukia was still recovering from the injuries she sustained at the end of the Soul Society Arc). The game’s very difficult to find in a Gamestop. There is an mobile version of the game but from what I’ve seen, it’s definitely not the same game. The smash hit Anime series got two video game spinoffs on the PS Vita (so far): Hollow Fragment and Lost Song, both of which I own. I haven’t played Lost Song yet (gasp!) because I am playing other things at the moment. Hollow Fragment, on the other hand is digital only in North America. Unlike Dark Souls, Hollow Fragment’s story takes place during an existing point in the anime. It is a non-canon storyline that takes place towards the end of the first half of Season 1. It’s an action RPG. Unlike your typical RPG though, you don’t start the game at level 1. Your level and that of your recruitable partners is much higher to fit the story’s narrative, which is just before the Aincrad arc ends. Sinon, who is introduced in Season 2 of the anime is a playable character in this game. The obvious problem from a lore standpoint is she never was in Aincrad in the canon. The game kinda gets away with this given she is introduced in the game before she is introduced in the Anime: The anime premiered in Japan almost a year after Hollow Fragment was released in Japan. I watched it on Crunchyroll so I can say that. If you want to buy this game, it is digital only. I bought the game a few months ago and was pleasantly surprised when I saw that unlike the previous two games, the game’s story mode is a a full retelling of the a portion of the canon storyline. The story begins during the Hidden Lead Village’s reconstruction after it is destroyed by Pain and ends with Kurama accepting Naruto, helping him fight Tobi. The secondary storyline introduces North American fans to Naruto’s father and the Fourth Hokage, Minato Namikaze as well as his mother Kushina Uzumaki. The game was released during the filler episodes that aired before Naruto meets his mother in the Anime. There are button prompts that pop up during pivotal fights in the game. Mess up and you take damage before retrying. There is also additional dialogue during the dialogue not shown in the Anime. Mostly because the game isn’t restricted in terms of how much content per episode they can put in the game. The game was released on the PS3 and well as the Xbox 360. The 4th game, Ultimate Ninja Storm 4 was released on the PS4 and Xbox One earlier this year. ….Believe it or not, someone actually LOVED this game. Humanity in Chains also contains video clips from the anime (Japanese audio with English subtitles) as well as yes, the Opening we all know and love–how can you NOT love that on a portable game? The game is digital only, sells for $30 and is worth the price tag in my book if you call yourself a fan of Attack on Titan. 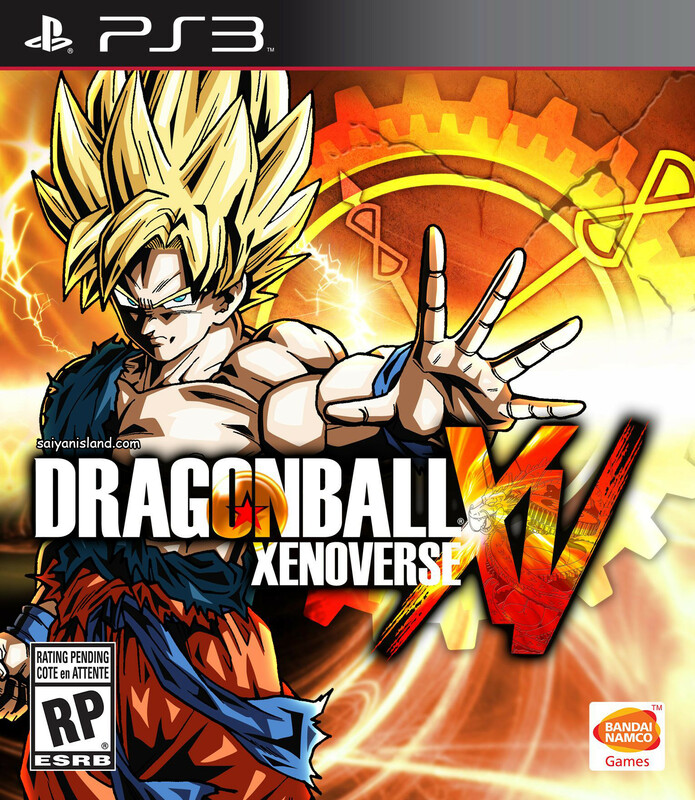 Hailed by diehard DBZ fans as one of, if not best Dragonball Z game released since the Budokai games, Xenoverse mixes the done to death retelling of DBZ’s Sagas and custom characters to make a game with near-endless replay value. The game breaks the 4th wall a bit as you can chose to play as a Human, Saiyan, Namekian, Frieza-race or Buu-race character. 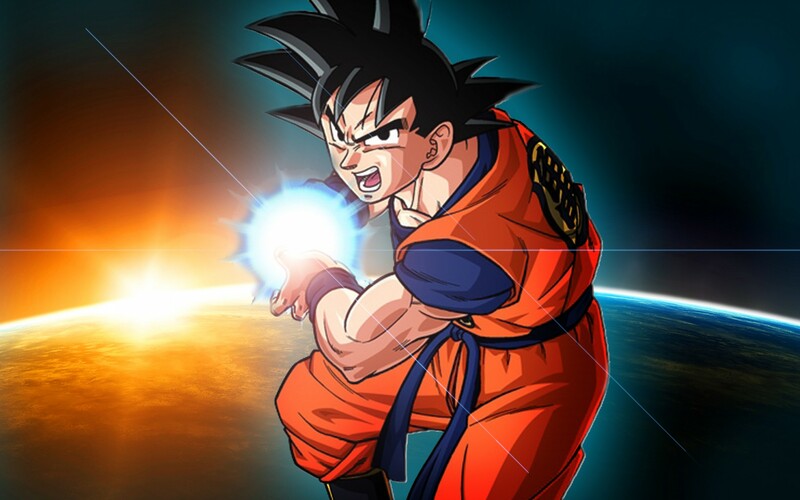 The lore for those last two I just mentioned are being made in the spinoff anime series Dragonball Z Super, which began with the movie Dragonball Z: Battle of Gods. Anyways, Trunks summons you to join the Time Patrol, an interdimensional fighting force that is tasked with fixing abnormalities with the time-space continum. Someone is intenionally screwing with iconic battles in DBZ’s lore. Trunks can’t intervene himself (being Vegeta’s son and all) so he asked Shenron to bring you in to do the job in his place. …Surprised, I take it? So was I the first time I played Legacy of Goku II: It was a faithful retelling of the Androids Saga and the Cell Saga. Watching DBZ Kai the last few weeks reminded me of this fact. There is even a secret boss: Cooler. In addition, Hercule is an unlockable playable character in the late game. Buu’s Fury picks it up from there, spanning The Underworld Tournament to The Buu Saga. The secret boss is Broly in that game. Both games are action RPGs. Oh and yes, you can go Super Saiyan (or Super Namekian in the case of Piccolo in Legacy of Goku II) at will. You can also do fusions in Buu’s Fury, all at will. The games allow fans to relive their favorite battles or those new to DBZ to enjoy the story at a slower pace. Both games were released halfway through the Game Boy Advance’s lifespan. If you want to find it, Amazon is the place to go since it was never ported or re-released on newer consoles. I first played both games when they were current so…yeah. …Well there you have it. There may not be a whole lot of Anime that made the jump to video games but of the ones that do, few of them are as well received as half the ones on this list. This is just my list of personal faves. There actually IS another Anime I have in mind that was originally a visual novel. I found the review I wrote for it and realized I never posted it. That oversight will be correctly shortly. Attack on Titan: Chains of Humanity is just the latest. Yes, that’s the opening from the Game Boy Advance game. Yes, Game Boy Advance not Nintendo DS Reminder: Nintendo released episodes of Kids shows on GBA Carts (GBA Video I believe it was called) two years later just to show how powerful the GBA was. 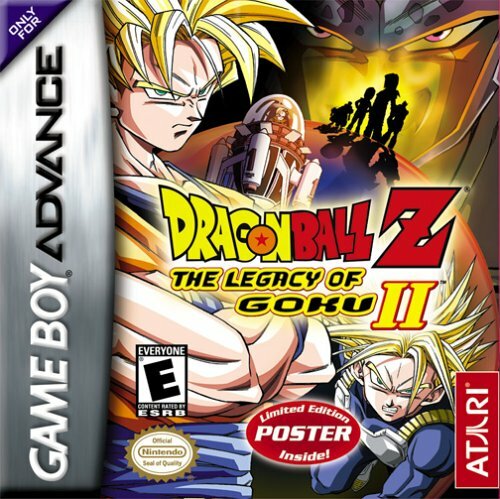 Those who know the history behind Legacy of Goku 1 and 2 know the sequel was an apology to DBZ fans for how unrecognizable the first game was to fans of the Legendary Anime. Legacy of Goku II spans the Android Saga to the Cell Games Saga. Goku is the main character (of course) but over the course of the game, you will also play as Gohan, Vegeta, Piccolo and Future Trunks. And yes, you will be able to go Super Saiyan when playing as one of the Saiyans. The game’s soundtrack also comes from the Anime. They pulled out all the stops to make you forget the first game even existed. There is an unlockable character and a hidden boss as well: Hercule/Mr. Satan. His name is actually Mr. Satan but to make the series (Anime) approachable in the West, his US Name is Hercule in both the Video Games and the TV Version of the Dub (though from what I understand, he will use the name Mr. Satan in the Dub currently airing on Toonami). He is correctly called Mr. Satan in the most recent English home release versions of the Anime episodes. Anyway, he is unlocked by leveling all of the playable characters to 50 (the maximum level) including Goku. After you beat the game, Hercule will be unlocked as a playable character. Leveling Hercule to 50 gives you an additional ending for him. There is also a hidden boss: Cooler. For those who need a refresher, he’s Frieza’s older brother and has two movies around him and his quest for vengeance against the Saiyans responsible for the deaths of his brother and father. Unlocking Cooler requires collecting all 50 Gold Capsules scattered around the world. Once you’ve found them all, talk to Dr. Briefs in West City and you will be able to fight Cooler on New Namek. The third and final game in the trilogy finishes off the series. It spans The Underworld Tournament to the Buu Saga. Goku, Gohan and Vegeta are back as playable characters and they’re joined by Goten and Trunks. You do get to briefly play as Piccolo and Hercule in two parts of the game, though. 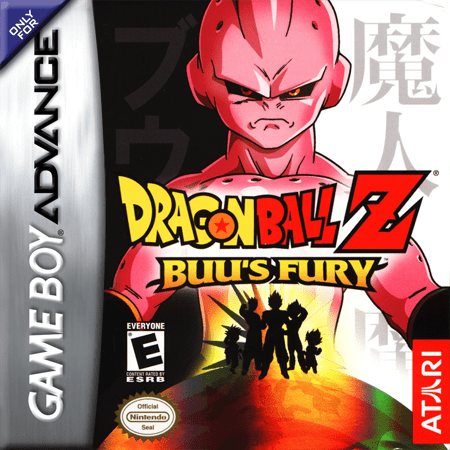 Like Legacy of Goku II the game went well out of its way to stay true to the Anime: Goku can go Super Saiyan 3, There’s Fusion (“Fu-Sion-HA!”) and there’s even some crossover with the movie Fusion Reborn: The main villain from that movie is a boss in Buu’s Fury. There is also a hidden boss now that we’re on the subject. This time it’s The Legendary Super Saiyan himself, Broly (!) and you encounter him if you’re playing as Gohan, Trunks or Goten at a certain point in the game. This is purposeful as Gohan, Goten and Trunks fight Broly in the movie Broly II: Second Coming. As a reminder, the Anime preceeded both the Trading Card Game (still going strong 10 years later) and the Anime. Most of the Trading Card Games released on consoles follow the rules of the physical card game though the first two–Forbidden Memories (PS1) and Duelist of the Roses (Gamecube)–do not. In recent years, the video games have gone mobile only and can be bought on the Google Play and Apple App stores respectively. 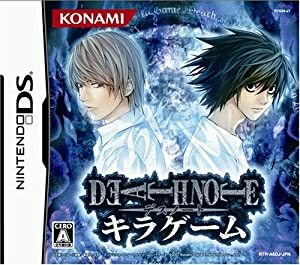 Although it wasn’t released in the US, this is one of 3 Death Note video games released on the Nintendo DS, all of them following the Anime’s plot. Its spiritual successor Attack on Titan got a US Release so we should be happy with that! This video game series recently made the jump to Anime. 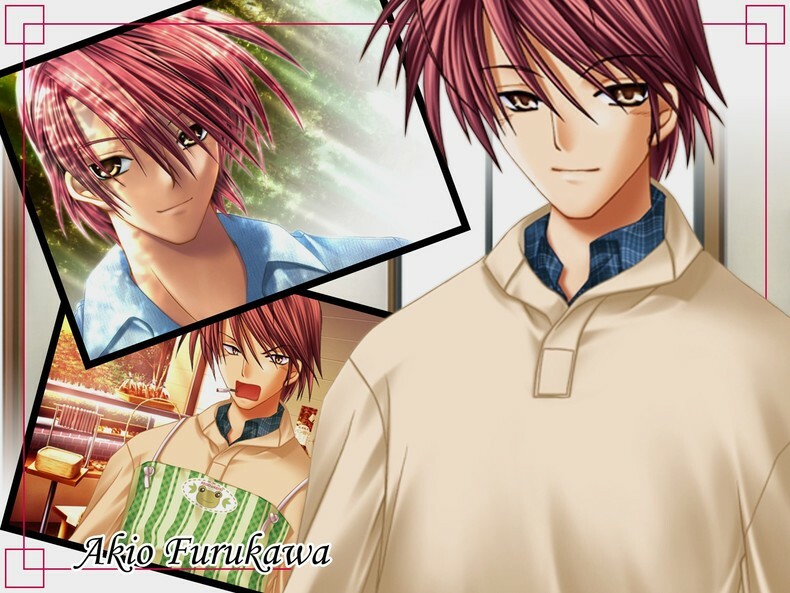 Unlike most Visual Novels made into Anime, the anime series is not a retelling of the video games but instead follows an original storyline. The above game was recently released on the Playstation Vita. Speaking of, all but one of the Hyperdevotion games are on the Vita. The only one that isn’t is on the Playstation 3. There are other Anime that have video games based on them as well–Inuyasha, Fullmetal Alchemist, Naruto and Bleach to name a few–but most have only been released in Japan. Of course, Bleach and Naruto have had several games released outside Japan. One thing publishers learned with Clannad and Attack on Titan in particular is if fans ask for it, they will bring it to the U.S. and Europe! Attack on Titan Vols. 9 to 11, Junior High School and Before the Fall: Junior High School is a satirical take of the smash hit. Before the Fall is a prequel to the main series and presumably explains how the Human/Titan Hybrids came to be. The Anime series ends after Anna the Female Titan is dealt with, which is Volume 8 of the Manga. The series continues in Volume 9. I assume there will be a Season 2 of the Anime once enough volumes have been written. Blue Exorcist Vols. 1 & 2: When I start a new Manga series I always get the first two. The Anime recently premiered on Toonami. Nura: Rise of the Yokai Clan Vols. 1 &2: Same as the above but it currently airs on Neon Alley and Hulu Plus. …Mind you, I’d probably only have enough money to get one of the Box sets. The price range is $35-5 for them all. Personally I’m leaning toward Kids on the Slope and Angel Beats, which are both 13 episodes long. I know I can get Kiki’s Delivery Service and Ponyo easy enough at a Best Buy. Ditto for Spice & Wolf. I know I’ll have to buy Nura: Rise of the Yokai CLan, This Ugly Yet Beautiful World and Pokemon: Indigo League from Amazon.